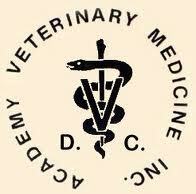 Last fall I attended DC Academy; a continuing education meeting held monthly for local veterinarians. The speaker was Dr. Goldstein, an Internist from Cornell Veterinary School, who discussed his latest findings and recommendations related to Lyme disease. What he said about Lyme disease completely challenged what I had thought about vaccinating against this all too common disease. I have said in previous posts that I hate Lyme disease, this did not change during my day at DC Academy. In fact the issue became even more confused and it took the last few months for me to research the issue and come up with an opinion. Ultimately I have changed my view of the vaccine and now recommend it for specific at risk dogs. I have always recommended against vaccinating for Lyme, concerned that the vaccine is not effective and reportedly causes more vaccine reactions than the other vaccines we give. 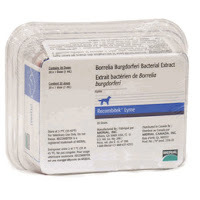 Besides, we have so many dogs test positive for Lyme that never develop any clinical signs, it doesn’t seem like a disease that causes many problems – until you consider Lyme nephritis which terrifies me. Lyme nephritis is a syndrome characterized by acute kidney failure that almost always results in death. It occurs most frequently in younger adult dogs and there may be a higher incidence in Labrador and golden retrievers. Clinical signs come on suddenly and include increased thirst, increased urination, lethargy, decreased appetite and vomiting. Despite aggressive treatment dogs that develop Lyme nephritis rarely survive. The topic of vaccination for Lyme is such a hotly debated issue in veterinary medicine that even the members of the American College of Veterinary Internal Medicine (ACVIM) Lyme Disease Task Force could not come to a consensus. Dr. Littman of the University of Pennsylvania College of Veterinary Medicine does not believe in vaccinating for Lyme. She argues that the vaccine has not been proven to prevent Lyme nephritis and in fact may predispose dogs that have been infected with Lyme disease to developing Lyme nephritis. After processing all this information I now feel that the best way to protect your dog against Lyme nephritis is with a combination of a monthly topical tick preventive and vaccination. Owners should be applying preventives once a month every single month. After attending a lecture at NAVC I now have an even greater repulsion for ticks, their resilience and their disease carrying capacity. Keep in mind that ticks transmit countless other disease that are equally as nasty, if not more so than Lyme disease. Therefore keeping ticks off you, children, dogs and cats is vitally important. I am not advocating that we vaccinate all dogs against Lyme disease, only those that are at increased risk. This group includes dogs that frequent dogs parks, Rock Creek Park and any other wooded area that they would be likely to come into contact with ticks. I would also strongly consider vaccinating all Labs and goldens given their tendency to contract Lyme nephritis. The final caveat with vaccination is I would think very hard about vaccinating a dog that is already positive for the disease given that we really don’t know if the vaccine contributes to Lyme nephritis. Since Frank and Poppy are retriever crosses and negative for Lyme I vaccinated them using the Recombitek Lyme vaccine by Meriel. This is the only Lyme vaccine I would consider giving as the other ones on the market have a greater reported incidence of vaccine associated reactions. I have also switched my dogs from Frontline Plus to a newer product called Parastar Plus. If you have cats in your house please discuss the risk of using Parastar Plus with your veterinarian. I still feel Frontline Plus works very well but Parastar Plus is reported to kill ticks within one hour, which theoretically prevents transmission of any disease. We used to believe that the tick had to be attached an feeding for more than 24 hours to transmit disease but current research suggests they may transmit disease in as little as 4-6 hours. So there you have it, my updated opinion on Lyme disease and the best way to prevent it. In the end there is no one right answer, even veterinarians can’t come to a conclusion. Whether or not to vaccinate is a personal decision that you need to make for your dog based on the risk of disease and the risks associated with the vaccine.